Speaking of sanctioned J&M vicinity graffiti, Trey Johnston (who this summer will decide whether the “CAM” on the WAR EAGLE wall downtown stays or goes) is apparently a wall paint maintenance master from way back. 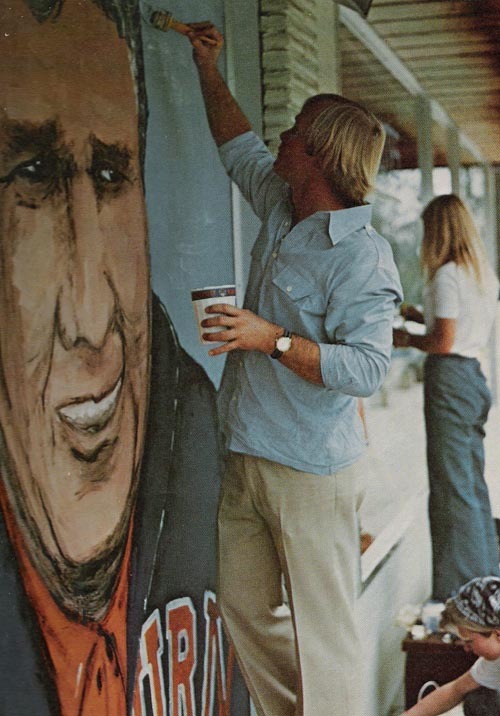 At least we’re pretty sure that’s him in the 1976 Glom, painting a Sistine worthy Shug near what we’re almost certain is the entrance of ye olde J&M. At least a molecule of every future tear I cry will be born of the knowledge that THAT wasn’t made permanent. ’76 Glom scan via Kenny Smith. 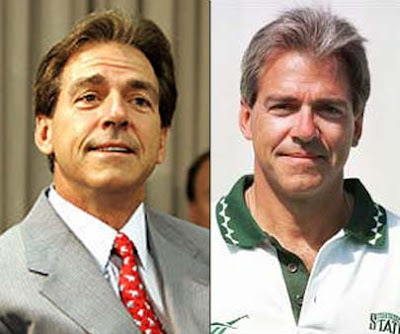 * Can an Auburn fox help Cox rock JOX? Oh…. wow… why is that not still downtown? Truly heartbreaking. I love the old ’70s style stadium cup… and I guess a casual blue botton-down and khakis never go out of style.